While not yet officially launched here, Australians can gain Prime membership by following ads on Amazon's US and UK websites and filling out a form with credit card details. Allowing Australians access to its US and UK catalogues will further fuel speculation that Amazon Prime Video is planning to launch here imminently. 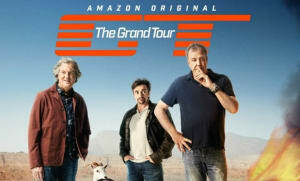 It has been rumoured for some time that Amazon Prime Video would use the global launch of The Grand Tour - a new motoring show featuring ex-Top Gear stars Jeremy Clarkson, Richard Hammond and Brian May - as a platform to launch Prime in Australia. However, this now appears unlikely as the show is due to launch today (US and UK time). The timing of Amazon Prime's launch on these shores could hinge on the availability of content and Amazon's broader plans in the market. 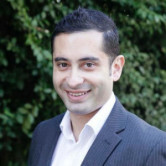 Established local media companies Stan and Foxtel have already secured licenses with production houses Showtime and HBO, locking down the Australian first runs of hit US shows. It is also questionable whether it would precede the launch of Amazon's e-commerce operation as many consumers sign up to Prime because it provides a free and fast delivery service and benefits. As the recent demise of Presto has shown, a third SVOD in the relatively small Australian market is unlikely to survive without a strong content catalogue. For Amazon this would require a combination of its Amazon Prime original series as well as content from other production houses. Amazon Prime Video is the second-largest SVOD in the world with an estimated 57 million to 61 million global subscribers to Netflix's 75 million. It is particularly popular in the US and UK markets where Amazon is also a dominant e-commerce retailer and Prime membership saves consumers cost on shipping. Amazon recently quadrupled the size of its Sydney office, fuelling speculation the e-commerce giant could begin trading in Australia as soon as next year – a move that could radically shake-up the retail sector and place pressure on bricks and mortar department stores. Amazon has begun allowing Australian consumers to sign up and stream Amazon Prime Video content from its UK and US catalogues, technology website Gizmodo reports.